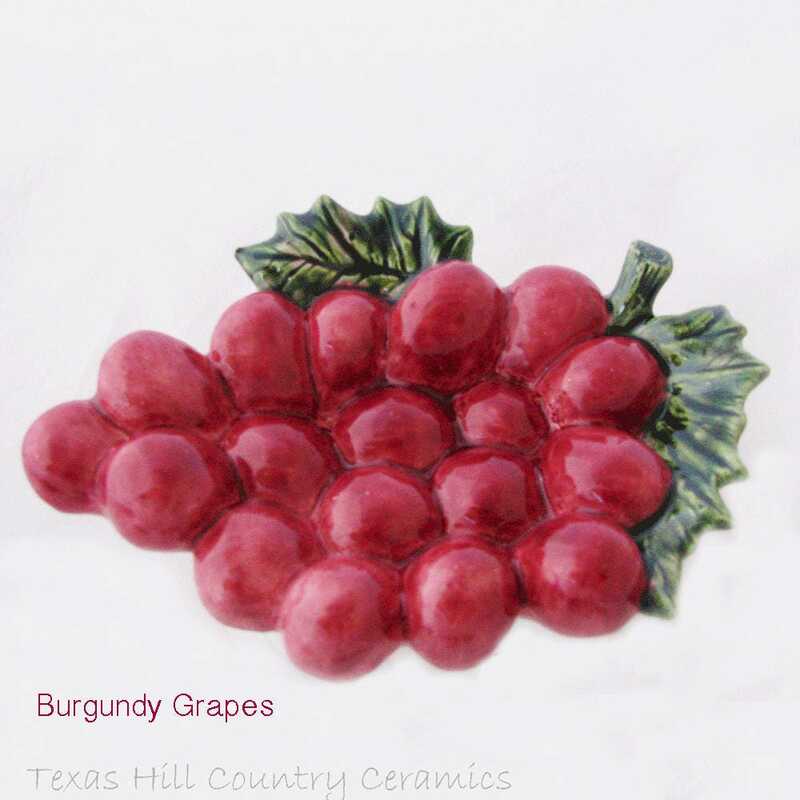 This bunch of grapes looks as if it is fresh "picked" from the central Texas wine country. Not only is it elegant looking it is also a beautiful way to help keep your countertops and cooktop stoves clean and neat. Great addition for Tuscan country kitchens or Tuscan country tea party setting or table decor. 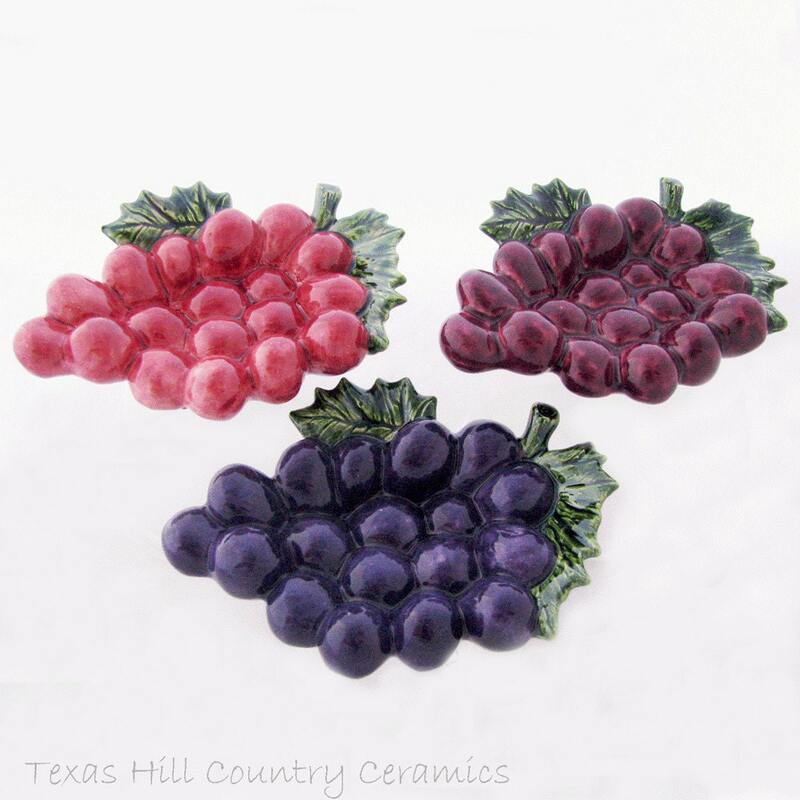 The grapes are cast from a ceramic mold with clay slip and kiln fired, each piece is finished with food safe gloss art glaze that is brushed on, making it very durable. 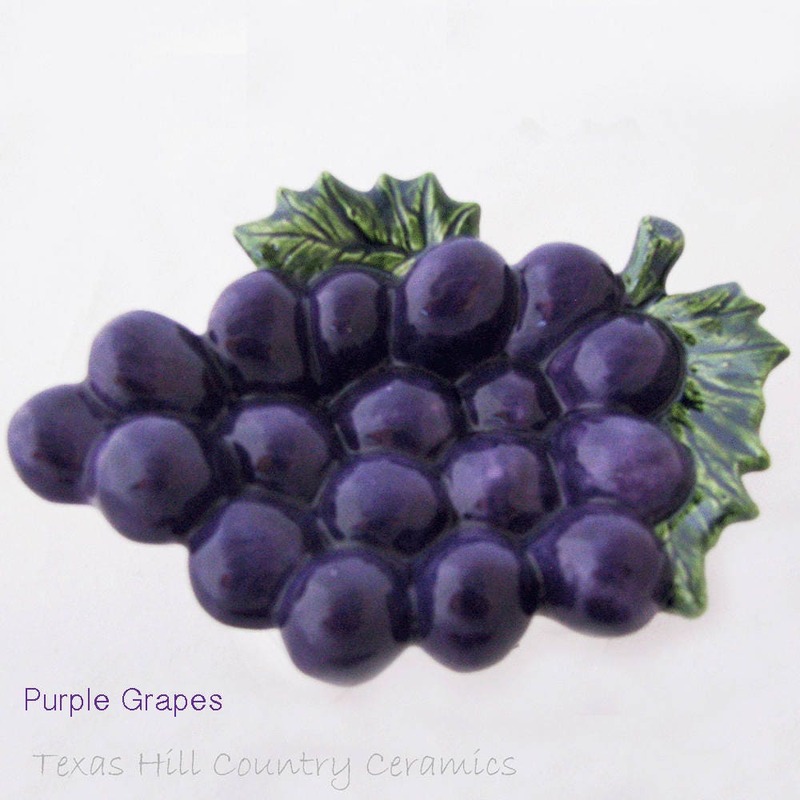 The grapes are dishwasher safe and the colors will not wash off, fade or peel. 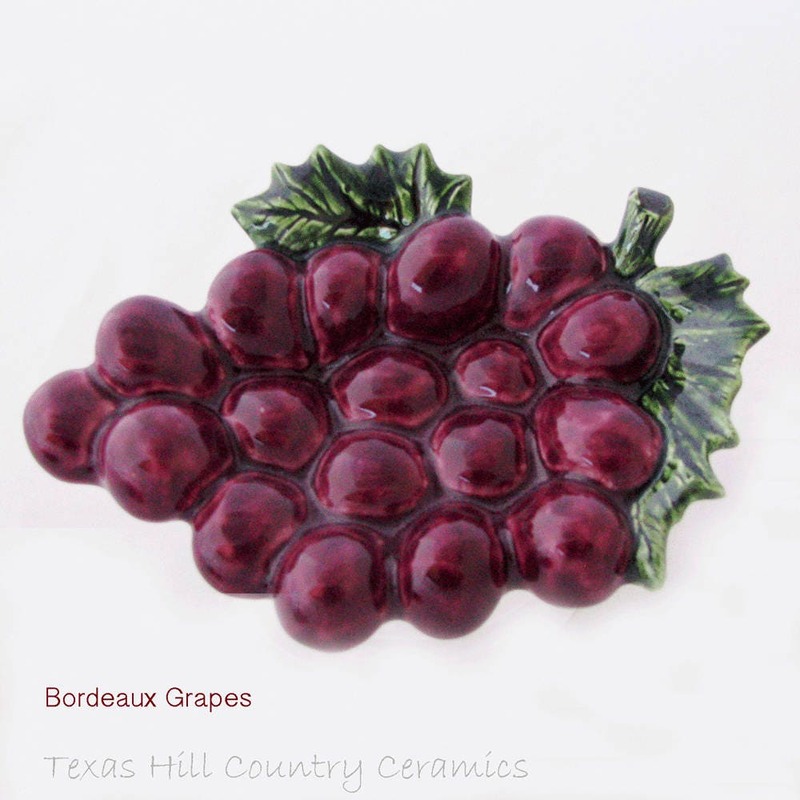 The Grape Cluster measures approximately 4 inches wide x 4 inches tall. The grape tea bag holder is available in 3 colors, bordeaux, burgundy or purple. Select the color at check-out. Colors are noted on the photos. I have been making a variety of tea bag holders since 2004 and I have a large selection of styles and colors. Item was a little smaller than I thought but still happy with my purchase. Arrived very timely.